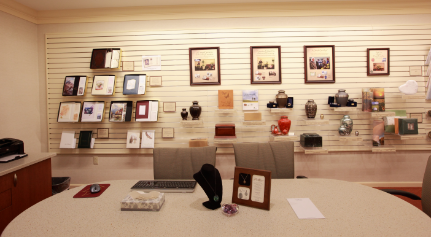 For more than a century, providing compassionate funeral care has been the Penwell-Gabel tradition. We opened our funeral home in 1994, and over the years, our professional staff has served generations of Olathe families with compassion and care. We will assist you with designing a unique and memorable service for your loved one at our chapel or a location of your choice. 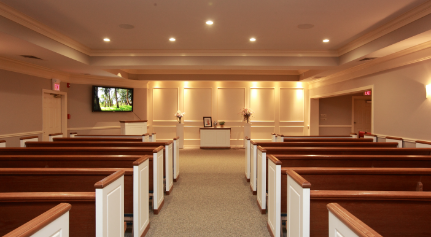 Our reception room offers a beautiful, convenient place to gather before or after a funeral or memorial service. Just a few steps down the hall from our main chapel, your family and guests will appreciate the time to share memories and spend time together, without the need to travel to another venue. You can bring in your own refreshments or select one of our catering packages. Custom menus are also available. Please give us a call for more information or download our information flyer. Managing Funeral Director Chris Holland has been part of the Olathe community since 2009 and is a lifelong resident of Johnson County. Chris and his wife Amber have three children. 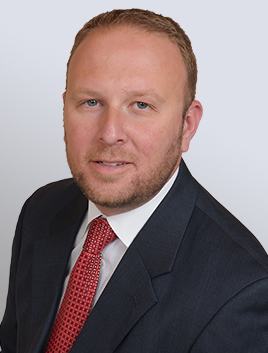 Chris has over 20 years of experience in the funeral Industry and began working in the funeral home at the age of 17 while attending mortuary school in the evenings. He is a licensed funeral director in both Kansas and Missouri. He is a graduate from Kansas State University and an avid Wildcats fan. Chris joined the federal DMORT (Disaster Mortuary Operational Response Team) in 2013 and was most recently in Puerto Rico after Hurricane Maria. He is a member of the Kansas Funeral Directors Association Board of Directors and is active with the Johnson County Emergency Management Department and other community organizations. Chris is passionate about being engaged in his community and helping his neighbors.